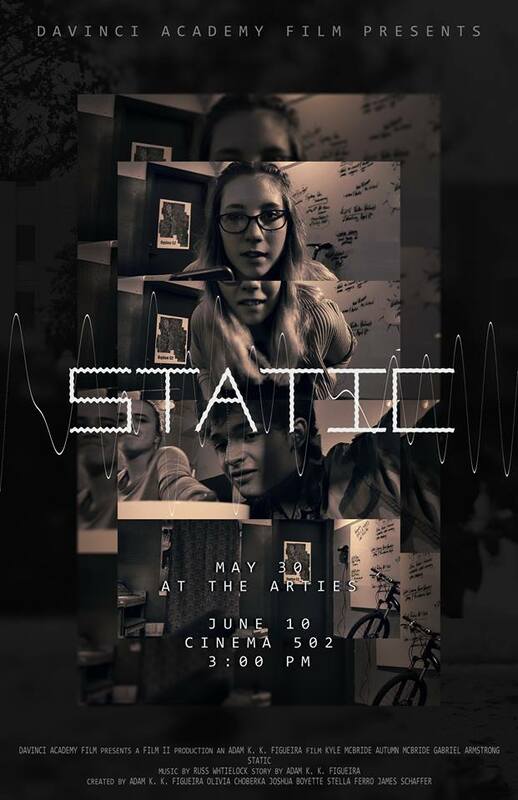 Static is a short film made by my high school filmmaking class in 2017. We shot the film at the Nurture the Creative Mind office in Ogden, UT. Most footage was shot on an LG V10 phone, with a few clips being shot on an iPhone. The film was screened at a school event, as well as at Cinema 502 as part of the Ogden Arts Festival.